BRYAN EATON/Staff photo. 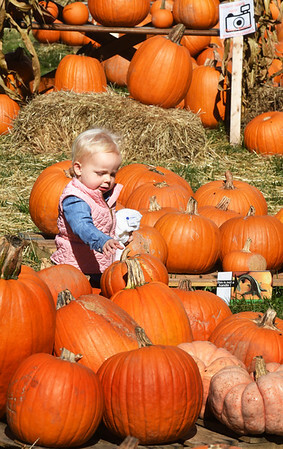 Mary Claire Hines, 2, of West Newbury checks out the pumpkins at the Main Street Congregational Church is Amesbury which are for sale as a fundraiser. She and her grandmother, Susan Hines of Newburyport, had been in the Children's Room at the Amesbury Public Library next door.